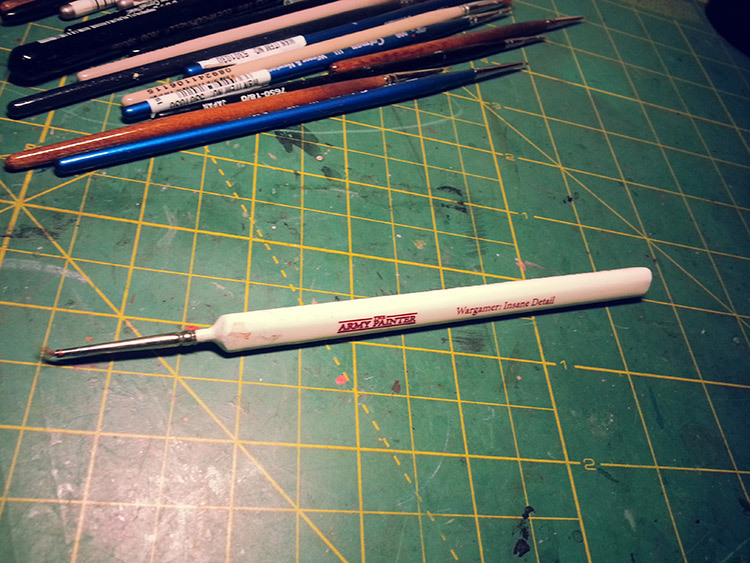 I'm posting the photos of the brushes that I have been using for my repainting works. I am not affiliated with any of the manufacturers/companies of these brushes. #1 - Hwahong Series 345 #0: This is my favorite series so far, and I am currently using this series for repainting. I was able to find these brushes on ebay a few months ago, and they were listed at around $5 per brush, but I asked the seller for a bulk purchase and managed to get 20 brushes for $43 including international shipping cost. 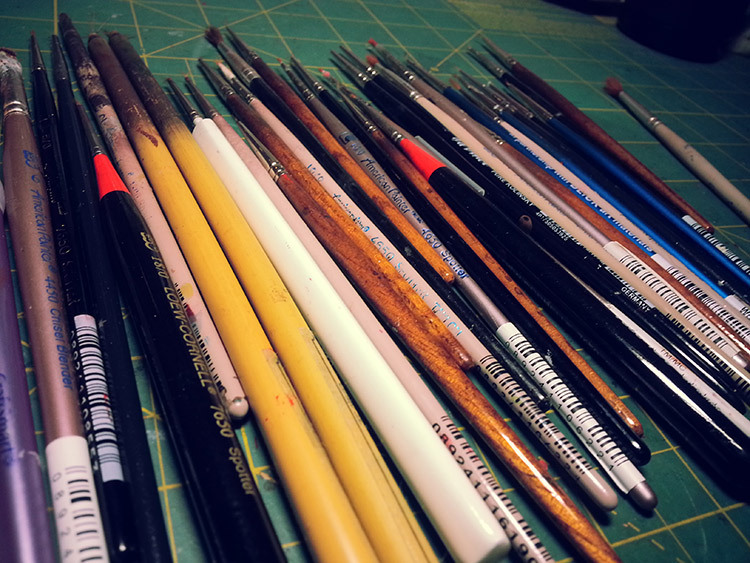 Most #0 brushes, whether they are expensive or cheap, do not last long and will eventually worn out after using them a couple of times. But what I like about this series is that the tip of the brush stays firm when most brushes do not, and it is great to work with on the areas that require close details. And it lasts longer for me to use it a multiple times. The 345 Series brushes are made of synthetic fiber and suitable for those who object to the uses of animal hair. 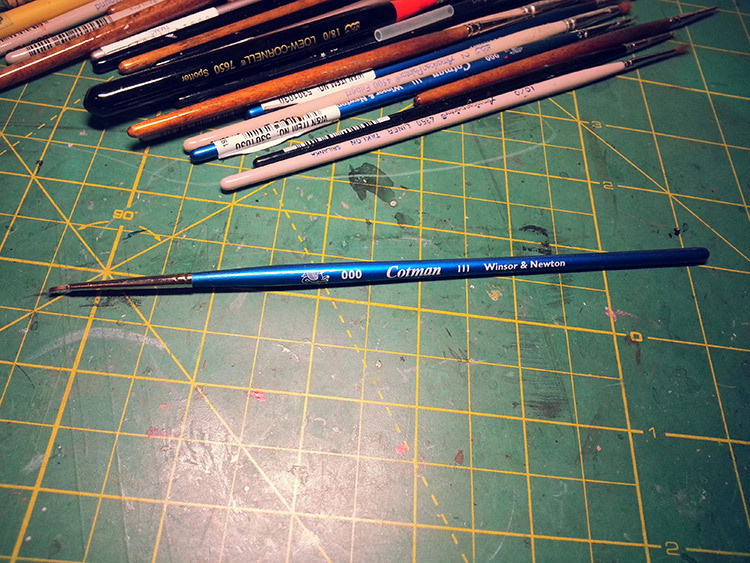 #3 -Winsor & Newton Cotman 111 #3/0: This brush is one of my favorites, and it costs around $3-4. I would prefer 3/0 size for 1/6 scale painting, and the result is pretty decent for a brush at such an affordable price. 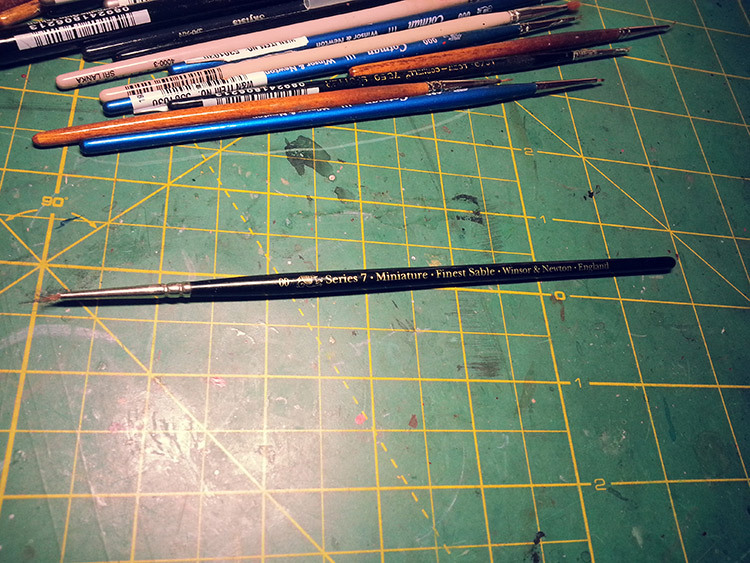 You may find these brushes at a local crafts/art store and they are also available online. 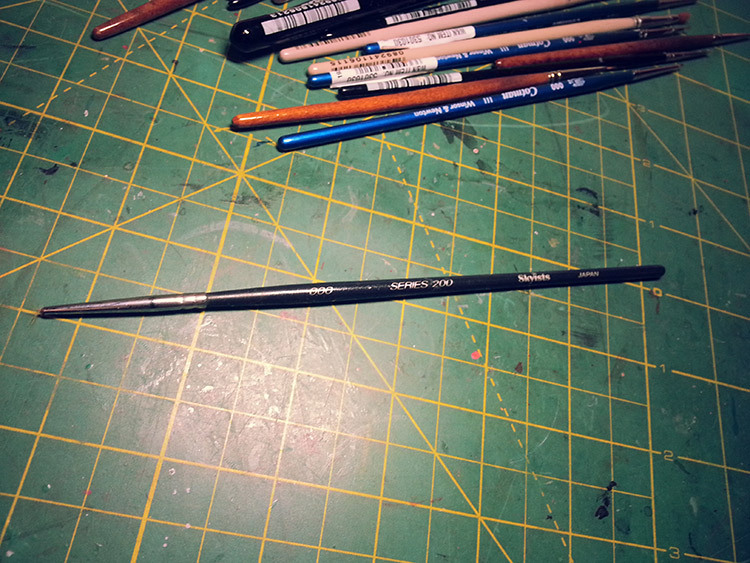 #4 - Loew Cornell American Painter 4650 Spotter #0: I used this series in my early days, and they were the cheapest brushes I could find at a local crafts/art store. Their qualities are okay for beginners and also if you want to paint the areas that do not require extreme details. 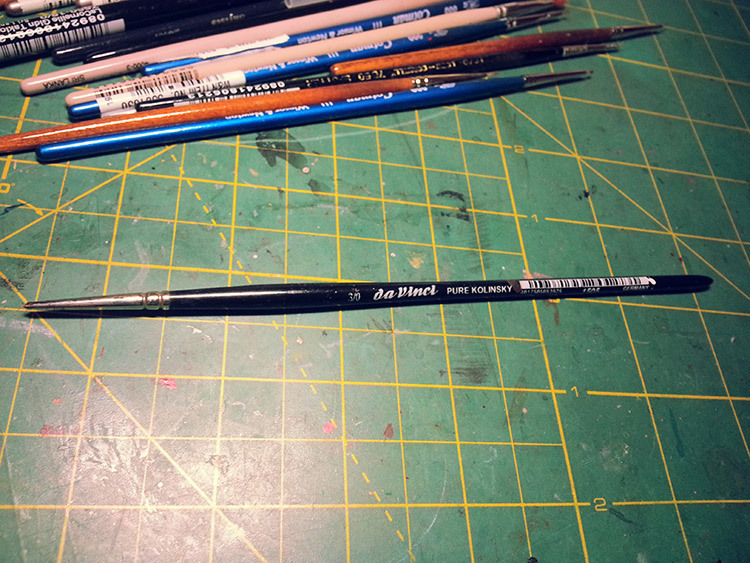 I still use this series for sealing tiny painted areas, and they cost less than $3 for each brush. 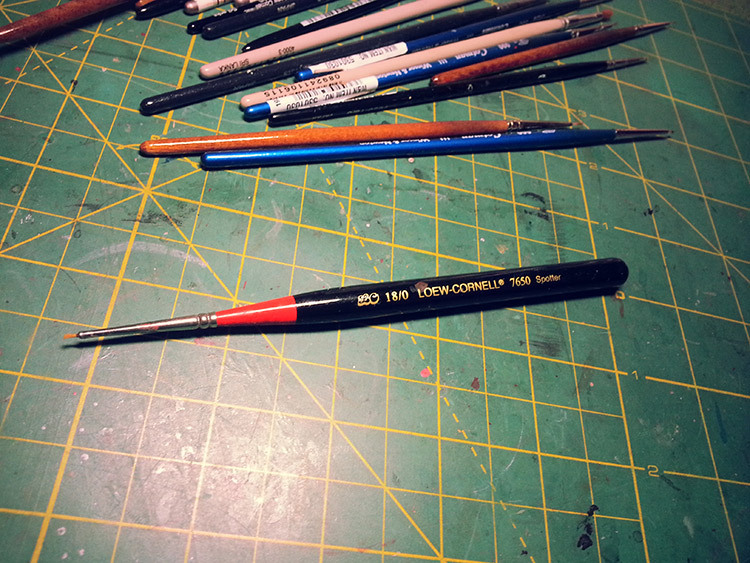 #5 - Loew Cornell Series 7650 Spotter #18/0: I use this brush for painting the areas that do not require details or for sealers. 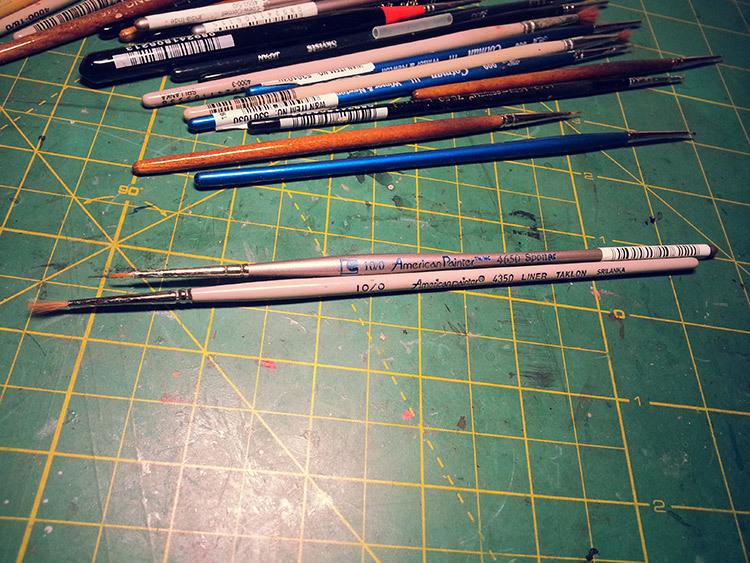 This series is okay for beginners, and they cost around $3-4 per brush. #6- Golden Taklon La Corneille Series 7650 #10/0: I think this series is a newer version of the one above. #7 - da Vinci Pure Kolinsky #3/0: This series is made of pure kolinsky red sable. #8 - Skyists Series 200 #000: I purchased this brush on ebay, but it was not quite firm enough to paint tiny areas that require close details. 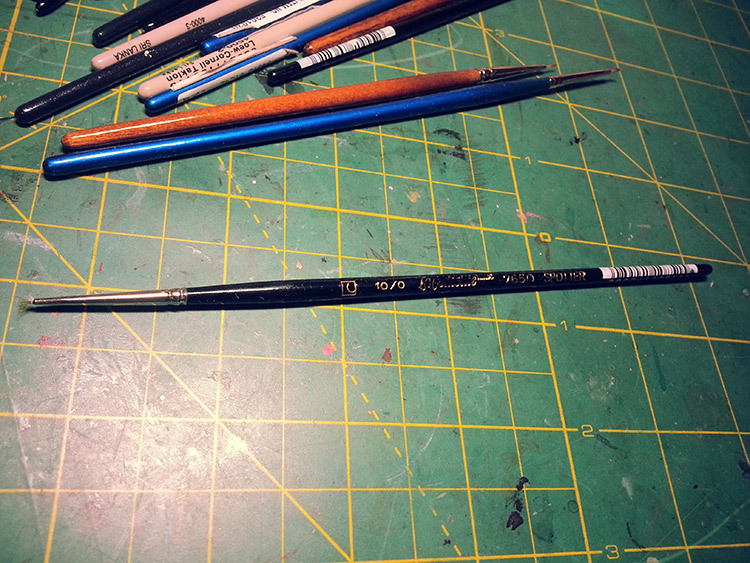 #9 Mae-deum #0: I used to love these brushes, and they hold the paints for a long period of time. 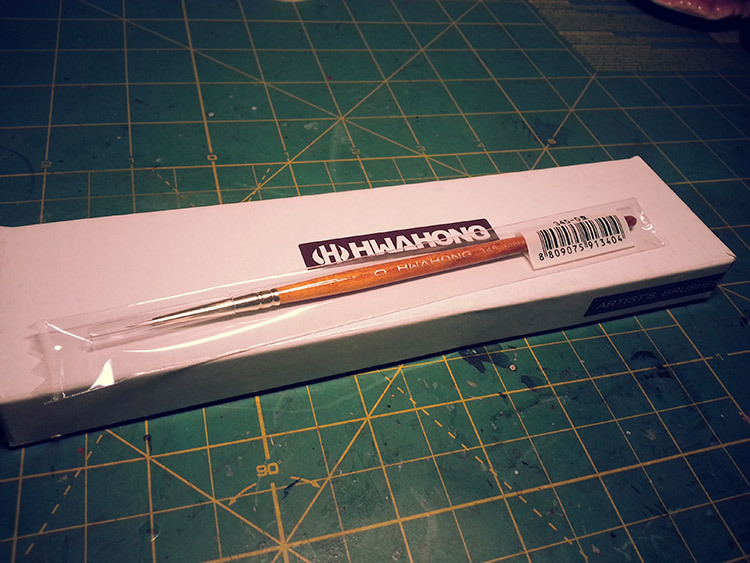 I purchased a dozen of these brushes many years ago, but they are only available through websites such as Gmarket (an eBay company located in S. Korea). 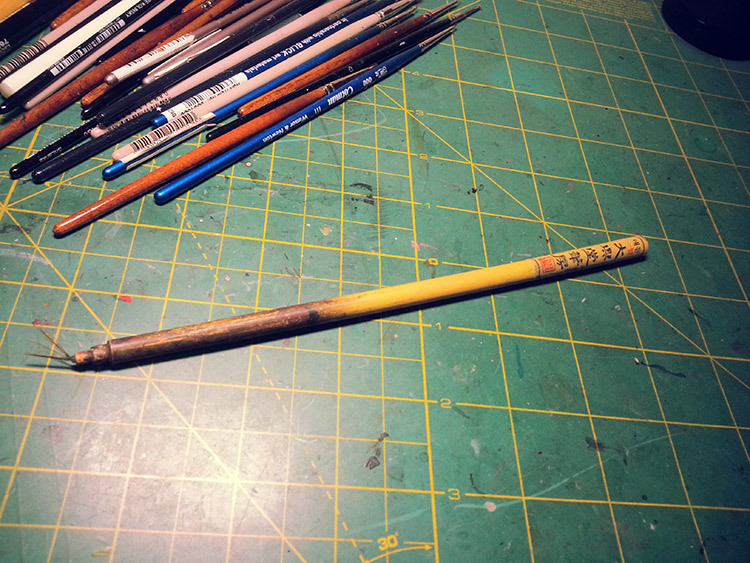 #10 Army Painter Wargamer Series: This brush was really soft, and it was not the type that I would prefer. But this series seems to have good reviews, and I do recommend you to try these brushes for yourself.